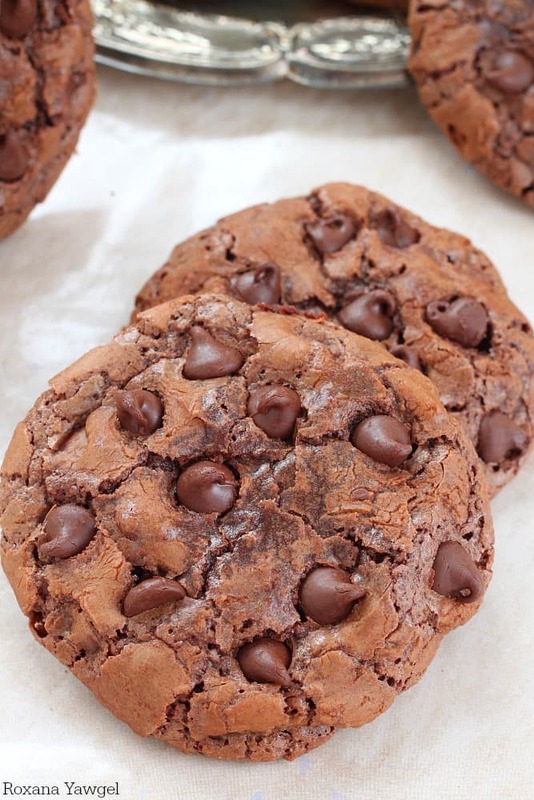 Double Chocolate Cookies - Chocolate Chocolate and More! Add the baking chocolate and butter to a heatproof bowl. Microwave in 30 seconds increments, stirring every time it stops, until the chocolate and butter are melted and smooth. Set aside to cool slightly. In a mixing bowl add the eggs. With the paddle attachment on, beat on medium low speed until thick and pale in color. 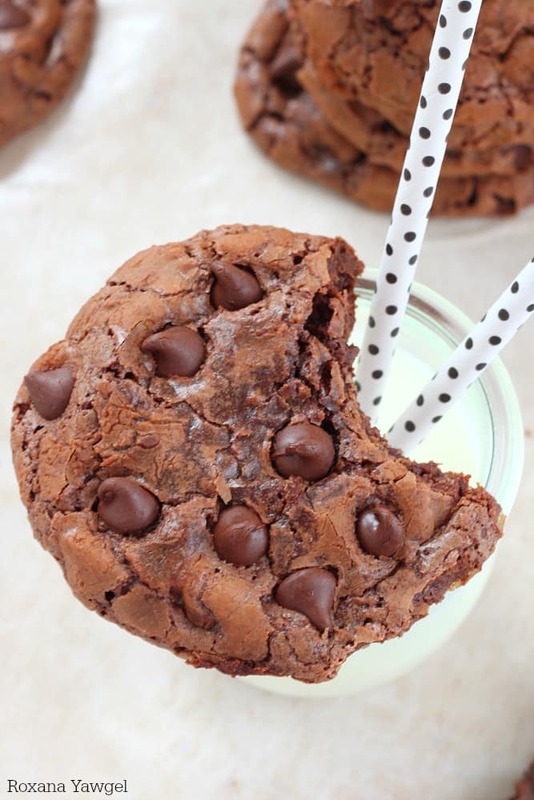 Remove the bowl from the mixer and with a spatula, fold in the chocolate chips. 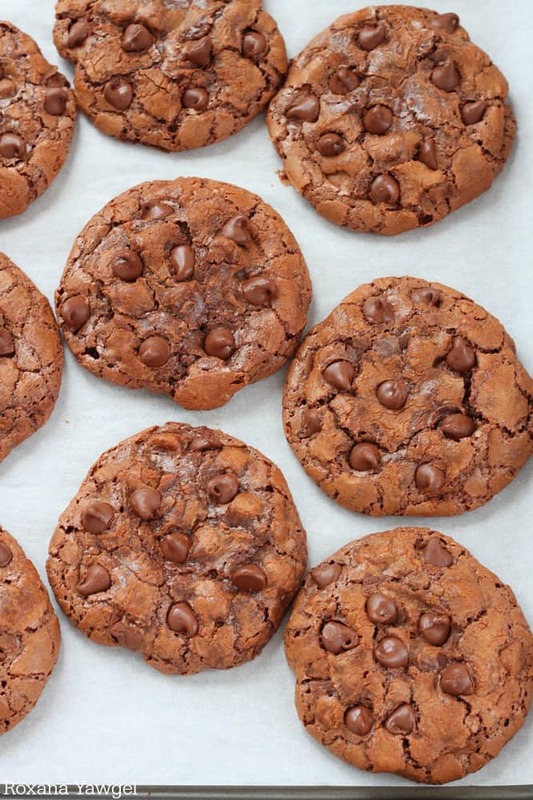 Refrigerate the cookie dough for at least 2 hours. Using a large ice-cream scoop, drop cookie dough onto 2 baking sheets. Bake in preheated oven for 10-12 minutes. Remove from the oven and cool slightly on the baking sheets before transferring to a wire rack to cool completely.